Christmas is currently 57 days away, but marketers and merchandisers have been scrambling to get everything in order for the shopping season for longer than that. It takes months of planning and decision-making to create the offers, pricing, advertising etc. for the holiday season, which is when many retailers make up to 40% of their annual profits. While much of what marketers and merchandisers will do this year will stay consistent with the previous year, the inevitability of innovation is pushing new technologies and trends into how they reach their customers and sell to them. 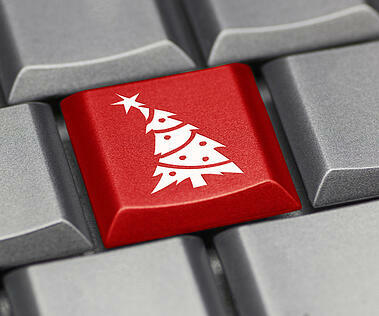 So what will make Christmas 2013 so different this year? One of the biggest differences in shopping this year is how retailers translate customer behaviour and online shopping habits into built experiences. Many companies that were pure-play or strictly bricks and mortars stores are now looking at how to integrate their on and offline presence. Customers no longer see the difference between a company's physical store and their online site, so the question is how to move in this direction to give customers what they want. Many retailers struggle with what to do first, and how to get everyone on board. Although most retailers will have different paths for how they restructure their company to accommodate an omnichannel strategy, the first step is organizational. Omnichannel requires all departments and aspects of your company to work together, which begins from the top down. If your c-level execs aren't on board, you have little chance of getting far. Next you should make an assessment of your customers' behaviour and which channels they use to get to you. This will determine how you focus your direction. Lastly, make sure your departments can be synced together using your existing software and analytics, or assess which parts are missing and how to implement them for the future. Of course there are many more steps, for which I found this article very helpful. A major buzzword this year has been all about how to make the experience from on to offline as seamless as possible through personalised marketing and merchandising. Today’s customers don’t see the difference of a store’s website and their offerings in physical stores; they want both to not only reflect each other’s information, they want it in real time updates. This requires quite a bit of technological and merchandising know-how, and isn’t necessary for every retailer. Those companies that have the resource and team to do so should already plan to enter the omnichannel world. By streamlining and integrating ecommerce into all departments, like fulfilment and customer service, you will be able to leverage your customers’ behaviour to be ahead of the game and give them precisely what they want. Another important aspect of personalisation is how it is reflected on your website. This includes personalisation software, such as Monetate, to make sure that registered users are getting the content that they want to see most, and recommendations that reflect their specific interests. While showrooming was the buzzword of 2012, this year it’s all about webrooming. If you’re unfamiliar with these two concepts, read this post on How the Customer Stole Christmas. Showrooming happens when a shopper goes into a physical store to try on and test items, but decides to purchase online instead. Webrooming, which is more popular amongst millennials, is precisely the opposite of showrooming, so that shoppers browse and price compare things online, then buy in physical stores. The reason webrooming is going to change Christmas this year is because more people will be switching back and forth between purchasing online and in store, which will make things a bit more complicated for PPC ROI and attribution modelling. It also means that shopping habits are becoming a matter of preference, convenience, and environmental factors such as UK weather, which will determine how revenues will split online and on the high street. Although the technologies have been around for some years now, 2013 is the year of the explosion of NFC, QR, AR and BLE. Now if all those acronyms mean nothing to you, here is a short rundown. NFC is found in contactless payments (like your Oyster card) and is included in most non-Apple smartphones on the market today. AR, or Augmented Reality, uses apps to allow your phone to interact with AR encoded information around you, be it product information, or animated business cards. QR codes are familiar to most people and allow for a small amount of coded information (usually a URL) to be displayed when you scan it with an app on your smartphone. BLE uses low-frequency Bluetooth frequencies already built into most phones to allow a BLE sensor to locate smartphone users in store, help navigate and determine the physical customer journey in real-time. 1) The Purple Flag Christmas Treasure Hunt is using NFC and QR codes. 2) The Saturdays release all-time favourite tracks to die hard fans through QR codes. 3) Drink4You boost loyal customers with digital cards, which will be using iBeacons technology for iPhones in the run up to the holidays. While the smartphone shopping revolution has begun way back in the noughties, the impact of mobile-donning shoppers has caused quite a stir this year. Companies have been trying to decide between a responsive design website or mobile app to handle to massive influx of mobile shopping. Accenture has recently published a report on shopping habits, and it’s predictions for holiday shopping habits highlight the high use of mobile devices and tablets to make purchases. The first thing to remember is that changes cannot happen overnight, and they definitely cannot happen without the right person standing behind the decision to change strategies, whether that means streamlining your cross-channel marketing and merchandising, or building a mobile app. The possibilities for this season are endless, and while it may be a little late in the game to change entire strategies and technology budgets in time for Christmas 2013, it is definitely worth reviewing what some bigger players are already doing, and how they managed to get ahead of the game.